Recognizing the need to get more kids on the water and enjoying the boating lifestyle the Massachusetts Marine Trades Association and the Massachusetts Marine Trades Educational Trust have created the KIDS in BOATING Initiative. The focus of this initiative is to help support nonprofit youth boating programs already in place in Massachusetts. The goal will be to challenge these groups to get more new kids on the water in a safe and smart manner. The Association has created a committee of board members, staff and association members who share a like-minded goal of getting more kids on the water. The focus of the committee will be to look at opportunities where we can support either by a financial means or another manner various ideas/events that focus on boating avenues and opportunities for kids. By getting more kids involved in boating at an early age, they are more apt to continue boating when they are older. In addition, by creating an interest in the boating environment this may lead to opening the door to more career avenues for marine related jobs in the future for these kids. In addition to an aging boating industry issue we also have a workforce opportunity where we currently are facing a shortage of marine technicians and other marine related jobs. The two industry opportunities go hand in hand in an effort to assist with the sustainability of the boating industry for many generations to come. KIDS in BOATING offers a grant program that is designed to financially support non-profit youth programs in the state of Massachusetts. A preference will be given to Massachusetts Marine Trades Association members and organizations with creative new ideas to get more kids on the water. Grants will be awarded in amounts ranging from $500 to $1,500. Over the last two years our KIDS in Boating initiative has distributed 27 grants totaling over $24,000. Please consider a donation to KIDS in BOATING initiative - The focus of this initiative is to help support nonprofit youth boating programs already in place in Massachusetts. The goal will be to challenge these groups to get more new kids on the water in a safe and smart manner. For information on making a donation to KIDS in Boating initiative please contact MMTA Executive Director Randall Lyons at Randall@boatma.com or (774) 404-8005. Become a sponsor for KIDS in BOATING initiative - The focus of this initiative is to help support nonprofit youth boating programs already in place in Massachusetts. The goal will be to challenge these groups to get more new kids on the water in a safe and smart manner. For information on sponsoring the KIDS in Boating initiative please contact MMTA Executive Director Randall Lyons at Randall@boatma.com or (774) 404-8005. Thank you very much to our generous sponsors of the KIDS in BOATING program. Your donations to the program are greatly appreciated and are extremely helpful in getting more kids on the water in a safe and smart manner. Additional kids boating safety and informational sites of interest. Discover Boating is the world's largest online guide to recreational boating. Learn about boats and read our boat buying guide, order your free Beginner's Guide to Boating today! The National Safe Boating Council (NSBC) was organized in September 1958 under the name National Safe Boating Committee. Our mission is to be the foremost coalition to advance and promote a safer recreational boating experience through education, outreach and training. The NSBC presently has a membership of over 330 U.S. and Canadian organizations, all with an interest in boating safety and education. The NSBC membership is diverse, with approximately 65% of the membership being nonprofit organizations and 35% being for-profit organizations. Whether you are an avid boater bringing kids on board for the first time...or you are entirely new to boating with your kids...BoaterKids.com offers real, practical advice and tips to make it smooth sailing (or cruising - depending on your choice of boat style!) 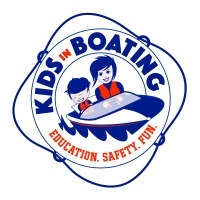 From choosing the right life jacket for kids of all ages and finding essential kid's boating gear... to fun ideas to keep kids entertained and happy on the water... Boater Kids seeks to enhance the boating experience and lifestyle for families with kids on boats.